Mike is highly knowledgeable about the Illinois Compassionate Use of Medical Cannabis Pilot Program Act and the medical and recreational cannabis laws of many other states. He has assisted clients with all aspects of the applications to establish medical cannabis businesses, such as acquiring properties for the proposed facilities; negotiating terms of investment; and building management teams of like-minded, industry-experts and investors. He has further assisted cannabis-industry clients with preparing franchising agreements, forming a cannabis-focused investment fund, and the sale of a vertically integrated cannabis company. Mike has also presented a continuing legal education course on medical cannabis in Illinois. In Mike’s litigation practice, he has worked on a diverse range of matters in both state and federal court. 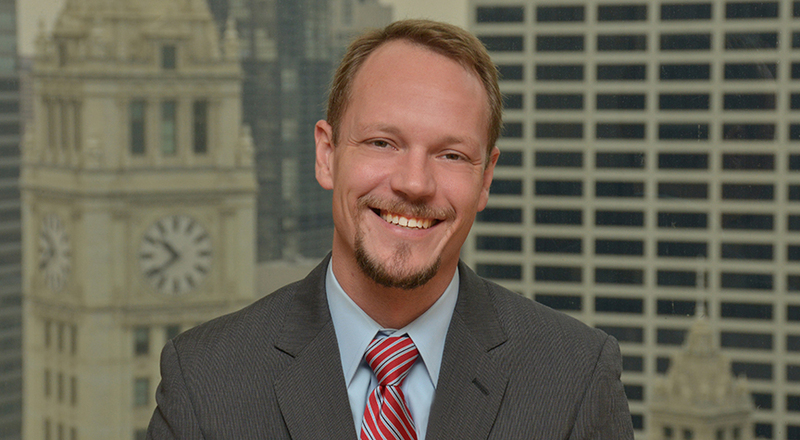 He has a wide range of experience which includes working with both plaintiffs and defendants in commercial litigation, employment matters, civil rights and disputes relating to the Illinois Video Gaming Act. Mike also served as a clerk to the Honorable Judge William Bauer of the United States Court of Appeals for the Seventh Circuit.